Cj and The B Team are the main mavens behind some of the coolest hair in Atlanta. They share their hair love in Dunwoody the popular area center of Atlanta perimeter. 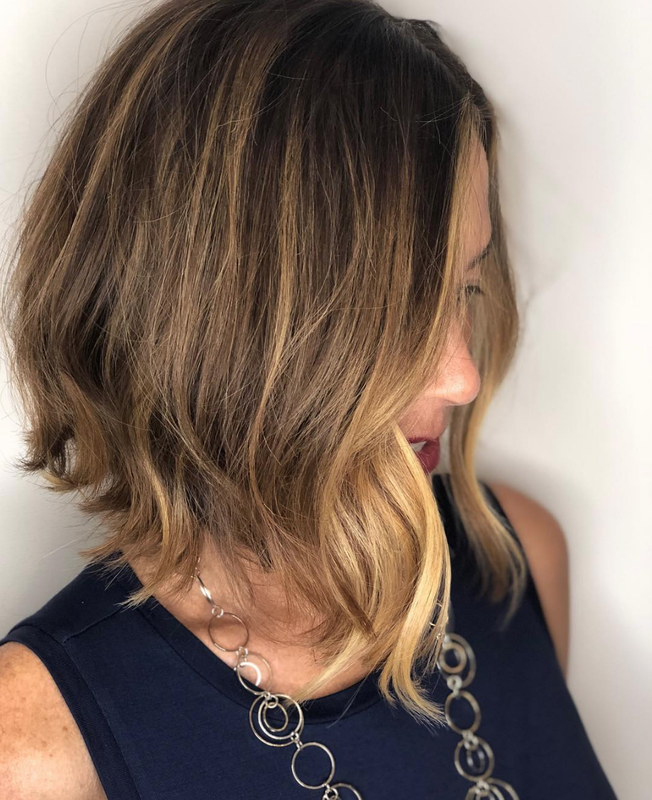 The partners of Balance salon are constantly crafting their magic on the likes of the demands of some Atlanta's celebrities and social personalities, and this year they have taken to the road for 2018's trends of color and cuts from New York - Miami - LA. They work alongside Matrix, L’Oreal , Redken, keratin complex, and Bobby Brown cosmetics. 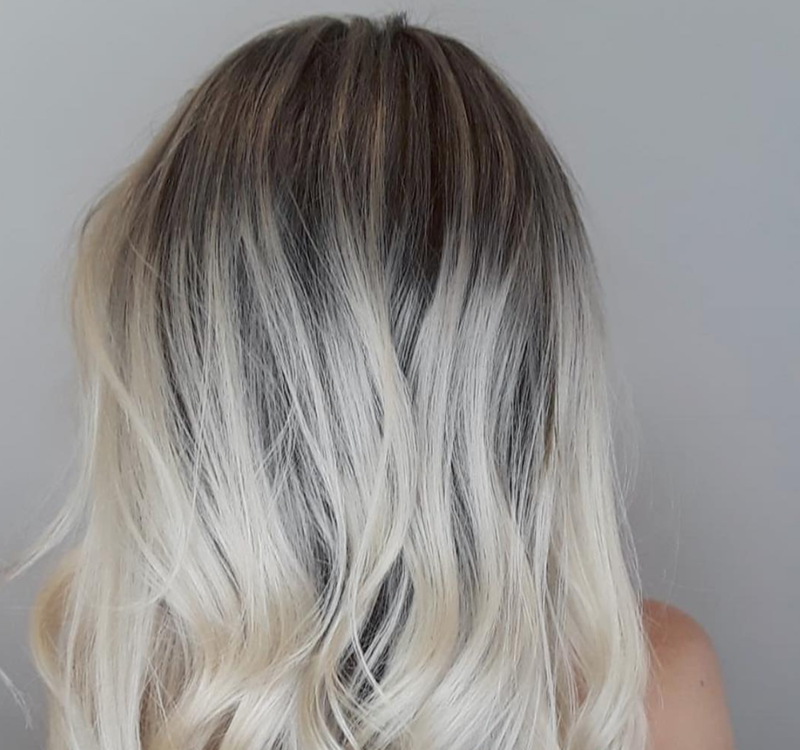 Finally taking a break from education for a month, Balance Salon & Co breaks down how to get their trade mark B-highlights and Cayenne spice looks. Sit down with owner, CJ, and get filled in on the juicy secrets. Q what is the secret of the B highlight? It’s a technique we use in our salon to create a consistent and beautiful, lighter look. We take a blonde or brunette and add lighter pops in the front – a.k.a. the money piece-babylights , then tip out the ends. This all gets melted to perfection to create a #bgirl blonde. It’s all in the placement and it’s about working smarter, not harder. We're able to take our clients lighter using fewer foils but covering more ground. We use different size foils - we don’t buy fancy ones; just large precut Reynolds foils that chefs use. It makes a big difference. One big reason it makes a difference.. it keeps the hair healthy. 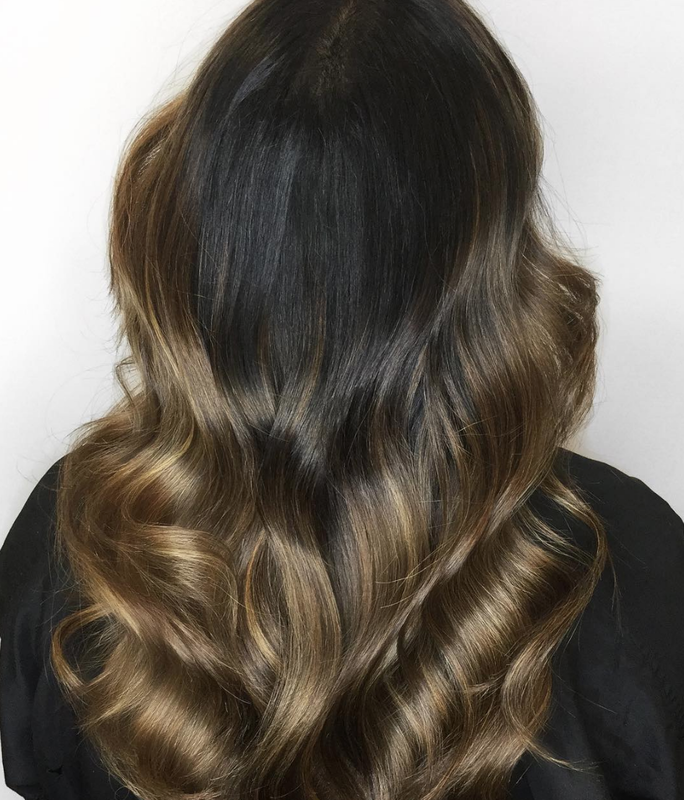 We like to oil the hair first or lightly fill in hair with our own olaplex cocktail to balance out PHs. Our wins are our toners. We mix to perfection. We offer a variety of healing toners that gloss the hair for immaculate shine and softness, but importantly, keeping the hair healthy. We always recommend a pre-detox treatment before our toning magic.. (water is the devil to us) 83% of hair color is shifted due to minerals in H2O... we get those nuggets out!! Q what is cayenne spice aka rose gold? 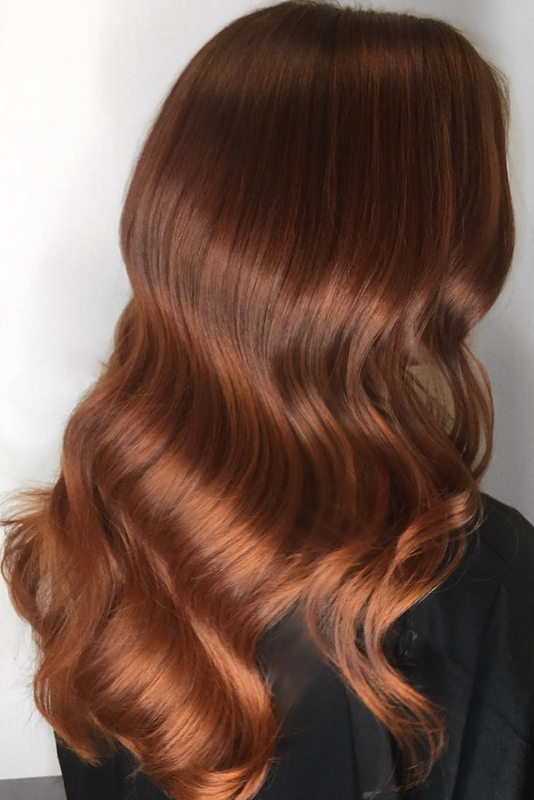 It’s a beautiful copper red color that was created by one of our top colorist @shellykelly (our very own spice girl) and was inspired by Emma Roberts' look. 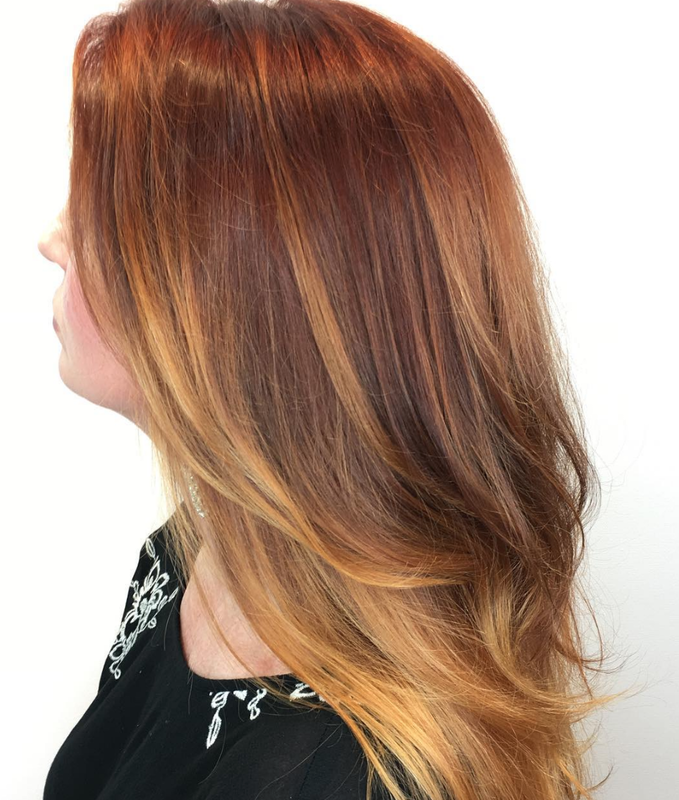 We pre-lighten first, then the layering of color can begin. We start at the root with a deep copper red, move to the mid shaft with medium copper red. We let it process but leave the ends out blonde. Once hair has finished processing, we gloss everything so it melts into perfection. Color must be multidimensional, so the root should always be slightly darker. The finished look should appear only a little highlighted. It’s such a beautiful fun color for this summer and fall for our guests. We can always adjust our red colors to suit each individual client. We strive to make ensure it will be flattering to the individual guest's skin tone. What separates us from the rest? It's our detoxing collection designed for each individual guest to ensure beautiful results with our color and cuts. Allow us enough time to spoil you with all our wonderful treatments! Q What is THE haircut and style for the remainder of the year? We are still playing with a lot of shattered layers. Length doesn’t matter, shoulder-length, short, and long all work with this cut. Shags are definitely crawling their way back in our chairs. Hippy street is walking it’s way out and volume texture is moving right in. Techniques with hot tools are really important to learn, if you’re into dimensional curls. Learning different directions to wind, twist, band, unfold is mind-blowing but really easy to teach our guests. It’s all amazingly shattered with no rules anymore. Men, we know you all want to look like the Rock! But, whatever dude wants dude gets. We have explored so many looks in men’s design - it just doesn’t matter anymore. Men ultimately get what they want, or what their wife’s / girlfriend see. So with men, ee love to just go with the wind. Our entire team our certified barbers with amazing skills.